Posted by Anthony Licciardello on Sunday, April 29th, 2012 at 10:08am. On July 7, 1997, roughly nine acres of land in the neighborhood of Graniteville were assigned to the New York City Department of Parks and Recreation. 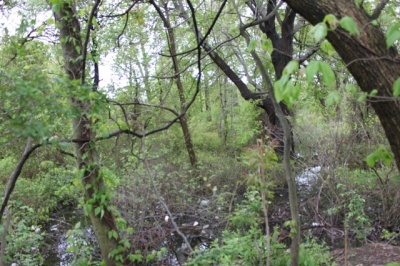 This area of land is within the site known as Graniteville Swamp, which is five times the size of the acreage assigned to the Parks Department. 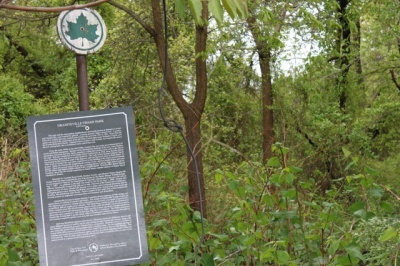 On June 1, 2000, another addition was made to what is now known as Graniteville Swamp Park. This little sliver of land, in addition to the original portion obtained by the Parks Department, account for close to nothing when they are compared to the size of the swamp. Graniteville Swamp was originally surrounded by Forest Avenue to the north and west, South Avenue to the east, and Goethals Road North to the south. Morrow Street, which juts out of Forest Avenue into the swamp's vicinity, was not much of a boundary at the time, as the street consisted mostly of small houses. At the turn of the century, however, the United Artists Stadium 16 movie theater opened between Forest Avenue and Morrow Street, making Morrow Street a northern boundary of the swamp. Today, the area of land under the jurisdiction of the New York City Department of Parks and Recreation is just below Morrow Street. To the right of the imaginary line which extends from the east of the movie theater down to Goethals Road North, there is a public storage facility. Aside from these two sections, the area within the stated streets it encompassed mostly by Graniteville Swamp. In the twentieth century, many construction projects had been started on Staten Island. The majority of these projects never saw fruition for many different reasons. One of the biggest reasons of the time was financial problems, especially as a result of the Great Depression. The eastern section of Graniteville Swamp is privately owned by different landowners, and so one of these "ghost subdivisions" was in Graniteville Swamp. Here, developers had planned for there to be a residential site. The remnants of this abandoned project can be seen within, where you can find a telephone pole and unfinished curbstone amongst overgrown flora. At the turn of the century, there was another plan for the area. One of the landowners wanted to erect a major shopping center on the site of his swampland, which is located in the northeastern section of this area. The proposal had been given to the Army Corps of Engineers, but no steps were taken to begin this project. Had this shopping center ever seen the light of day, it would have been located next to the movie theater's parking lot by Forest Avenue. While a major shopping center or a few houses could have been put to great use in the area, many citizens are happy about the outcome. Residents have realized just how unique Graniteville Swamp is, due to the fact that it contains roughly 31 acres of swamp forest and upland forest, 12 acres of salt marsh, and 2 acres of open marsh. There are also many small bodies of water, such as creeks, in the park. Among the random critters that inhabit this land, there are a great number of different fowl which either occupy of migrate to Graniteville Swamp. Thankfully, this site is now under the protection of the Harbor Herons Wildlife Refuge. All of this makes Graniteville Swamp a must for nature-lovers.